New concept in batting pads. AERO P3 Junior Leg Protector. 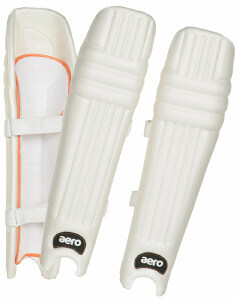 Aeros elite youth leg protectors are the most advanced youth leg protectors on the market today. 65% lighter than old style youth pads. The average player moves 9% faster or 1.5m quicker! Ambidextrous design so suitable for both RH and LH batters. Please select from available options in drop down list below.